However, in spite of this way of thinking, people all across the world have still developed their own “printer hacks” or stories about how they can improve the life and performance of their printer with certain tricks or unfamiliar actions. However, how many of these myths are actually true and how many are false? To give you the answer, we here at Ink Technologies are debunking four of the most common myths about printer ink once and for all. FALSE: While most original equipment manufacturer (OEM) ink cartridges typically offer the highest standard of quality and ink for their corresponding printers, a large number of remanufactured inkjet cartridges can actually perform just as well when it comes to printing documents and basic photos. Even when printing off high quality images or materials, remanufactured ink cartridges are still a great option due to the fact that many cartridges adhere to the high ISO standards that OEM cartridges must follow. TRUE (technically): When it comes to comparing the price of inkjet cartridges to other expensive liquids such as alcohol or gasoline, ink often comes out as one of the highest price points. However, it is important to acknowledge the fact that printer ink is not consumed as much or as often as the liquids that it is compared to. In fact, the ink that you use when printing at home can last way longer than your typical tank of gas, even when using the most fuel-efficient car. When you really look at the amount of ink that is used for each project, it often comes out to just pennies for each print. FALSE:Many people believe that storing your ink in a cool place, such as the refrigerator, can help the ink to last longer over time. However, it can actually cause the ink to dry out even faster! If you look at many ink labels, such as the HP 920 ink, you will often see that it is recommended that you store your printer ink at room temperature. This is because this temperature is optimal for the reliability and life span of the average ink cartridge. NOT REALLY: A study released in PC World found that many ink cartridges still contained anywhere from 8-45% of their ink when “Warning: Low Ink Level” warnings popped up on their computer. So, how can you utilize every last drop of your ink? Laser printer toner cartridges often use black powder that can easily build up inside the cartridge, blocking toner from getting through. Some people find that shaking the cartridge 10-20 times can help the powder to be shaken loose in order to get some extra printing life from the supply. (Just be sure to cover the opening before shaking!) However, this method does not work quite as well with inkjet printers, as they use liquid or gel ink instead of powder. 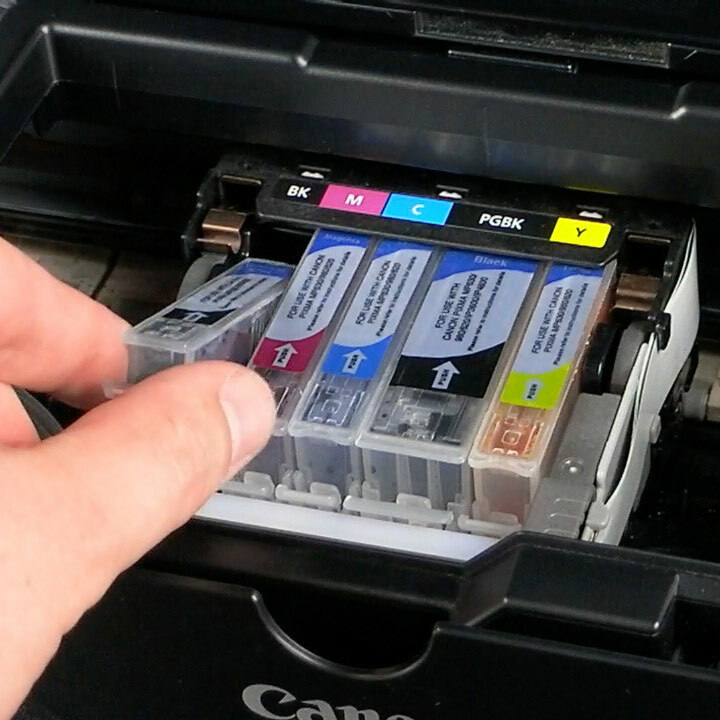 Are there any other common printer or ink myths that you have heard over the years? Be sure to leave them in a comment and we may address them in a future blog post! Also be sure to sign up for our Ink Technologies rewards program so you can get the best value possible for being a loyal customer of ours!